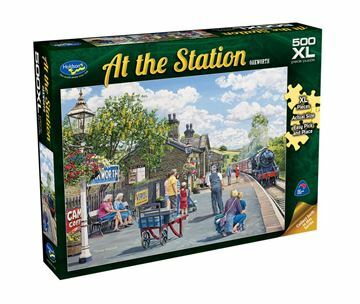 Artist Trevor Mitchell brings us his latest creation At The Station Holdson 500pc XL puzzle collection. Each scene is complete with vibrant colour and great attention to detail. Trevor's favourite subjects always recreate the past on canvas reflecting his interest in steam and vintage vehicles and his love of the countryside. 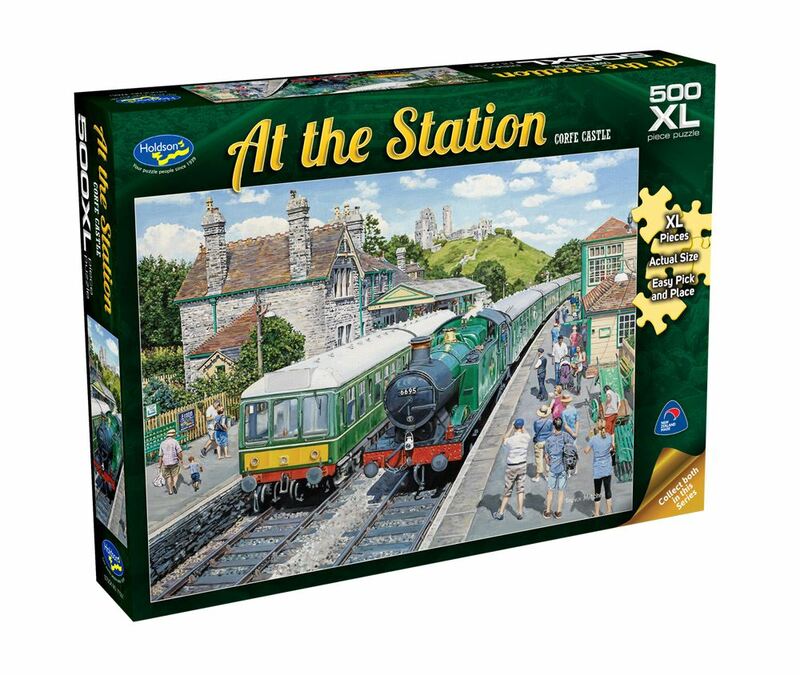 Titles include: Corfe Castle and Oakworth. Each design sold separately. Collect both designs. Age 8+ years. Made in New Zealand by Holdson. Approximate puzzle dimensions: 688mm x 493mm. Box size: 270mm x 370mm.